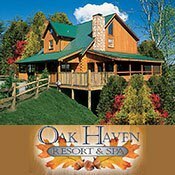 Stone Oak Web Travel Guide is your Tennessee vacation guide and a great resource for where to stay and what to do in the Smoky Mountains. 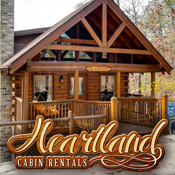 Browse hundreds of overnight rental cabins, hotel rooms, and condos. 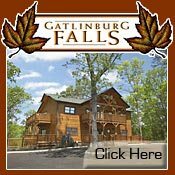 Pigeon Forge and Gatlinburg offer many choices for lodging. See a full list of places to stay. 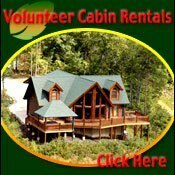 Find that perfect rental cabin in Tennessee. Pigeon Forge is known for its family entertainment and there are new choices for 2018. Smoky Mountain Adventure is a new dinner show now owned by Dolly Parton. It is at the old location for Lumberjack Feud. Check out the show at the Comedy Barn or the Magic show at Wonder Works. Enjoy outdoor activities such as tubing, hiking, or horseback riding. Gatlinburg has many shops and museums to keep you entertained all day long. And don't miss Ripley's Aquarium of the Smokies for more fish than you can shake a stick at. And of course a visit to the Smokies would not be complete without a trip to the Great Smoky Mountains National Park. See nature at its best with old growth forests, waterfalls and plenty of hiking trails. Don't miss Cades Cove which takes you back to a simpiler time before the national park was formed. See cabins, churches, grist mills, cantilever barns and other buildings among the natural beauty of the Smokies. For articles on places, things and events in the Smoky Mountains, check our news and information pages just to the left. Here you will find information on shows, theaters, attractions, local events, the mountains, and everything else about this area. Gatlinburg and Pigeon Forge will be featured in most of the articles, but places like Sevierville, Townsend, and Bryson City will also be featured from time to time. 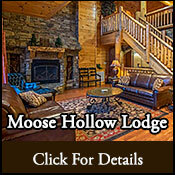 Below you will find more lodging options in the Smoky Mountains plus some featured attractions. Two great motels in Pigeon Forge are Tennessee Mountain Lodge and Riverchase Motel. Both offer clean rooms at affordable prices that within walking distance to most attractions in Pigeon Forge. 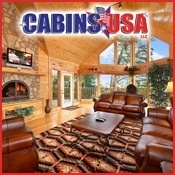 Also list are two rental cabin companies near Gatlinburg which offer great options for overnight rental. Shangri Lodge is a nine bedroom cabin just less than five minutes from downtown Gatlinburg that offers luxury for the weary traveler. 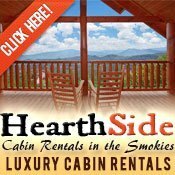 If you are looking for a more quite Tennessee Vacation, then try Smoky Highlands Cabins near Gatlinburg TN. This one bedroom cabin is perfect for a romantic weekend or holiday retreat. 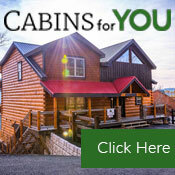 If you are looking for an inexpensive Pigeon Forge vacation, then don't miss $99 Cabins.com. Most cabins are just $99 per night most of the year. Sometimes when you visit Pigeon Forge, you want all the action such as a Scenic Helicopter flight above all the traffic or maybe a trip to the rainforest via Rainforest Adventures in Sevierville, TN. Or maybe you want to catch a great show at Country Tonite theater in Pigeon Forge. Country Tonite offers great entertainment with singing, dancing, comedy, gospel, patriotic and more filling this two-hour show. And then sometimes you just want to relax. One of the best ways to do just that is with an in cabin or in hotel massage by Beneficial to Life Massage. Why go to a spa...they will bring the spa to you.